Three easy ways to take care of your skin and keep that healthy glow. Winter comes with my favorite holiday, Christmas, but it is also accompanied by my skin’s worst nightmare- frigid dry temps and dry skin. Thanks Chicago! As usual, life gets so busy sometimes we forget to sit back and take care of ourselves or indulge. I have come to really appreciate those little moments of down time when I can take a moment for myself. Some of that time is spent taking care of my skin. Happy skin, happy life, right. 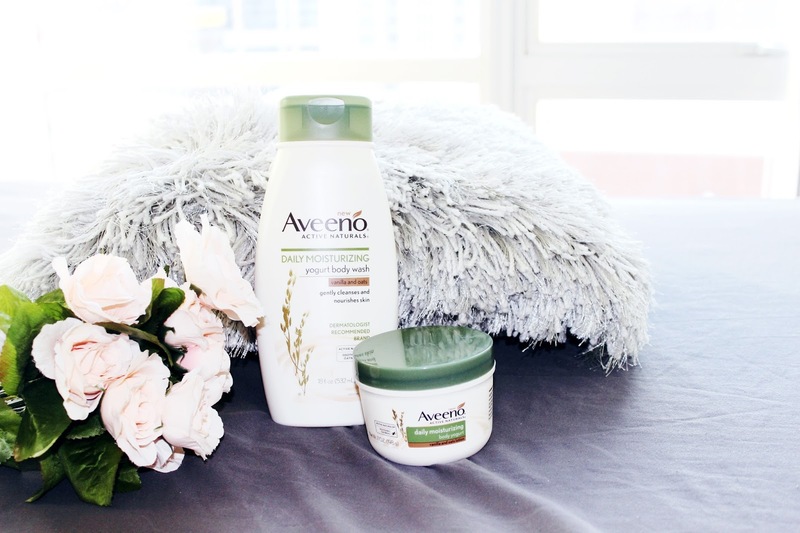 Naturally, that is why I am thrilled to team up with Aveeno to introduce their Daily Moisturizing Yogurt Collection that provides all day moisture to your skin. Needless to say, this is an absolute must for the long harsh Winter months. Three easy ways to take care of your skin and keep that healthy glow. 1. 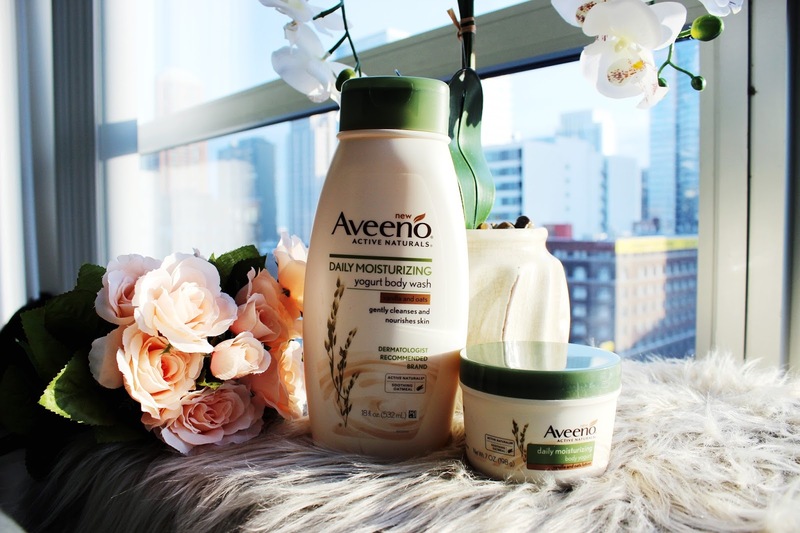 Moisturize with Aveeno daily moisturizing body yogurt all day, everyday. 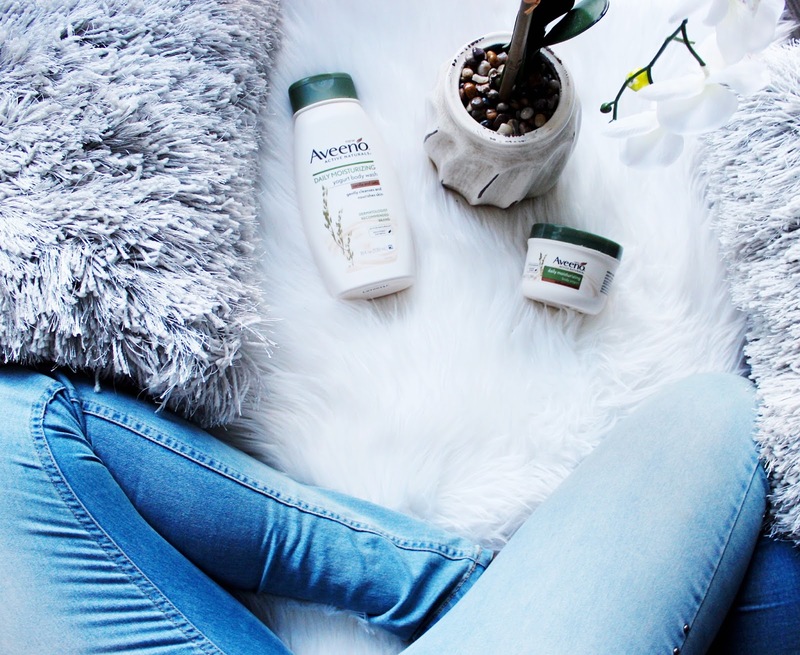 I have been using the Vanilla Oat and it smells absolutely amazing and it contains ActivBind complex that helps maintain all day contact with the skin providing long-lasting moisture that can actually be felt on the skin, leaving it hydrated for 48 hours! With holiday season here, we would be doing a large amount of gift wrapping, avoid dry cracked hands and painful paper cuts with soft supple hands. 2. 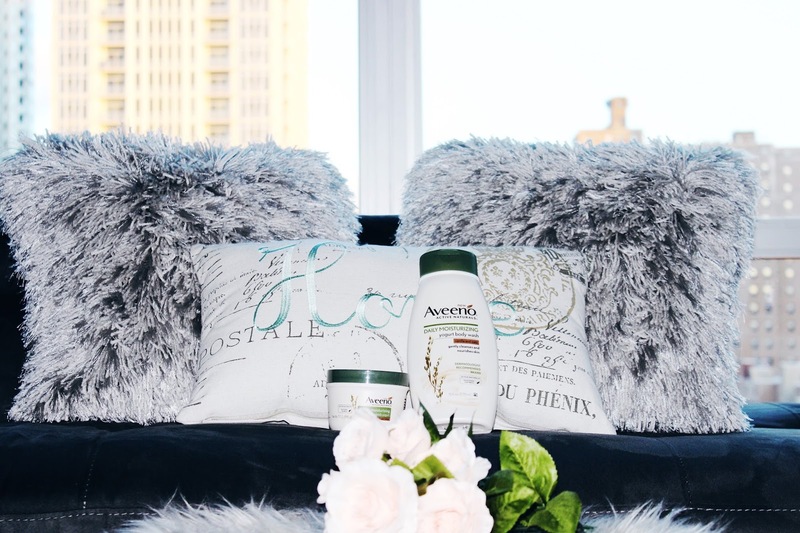 Have a Mini-spa day at home. 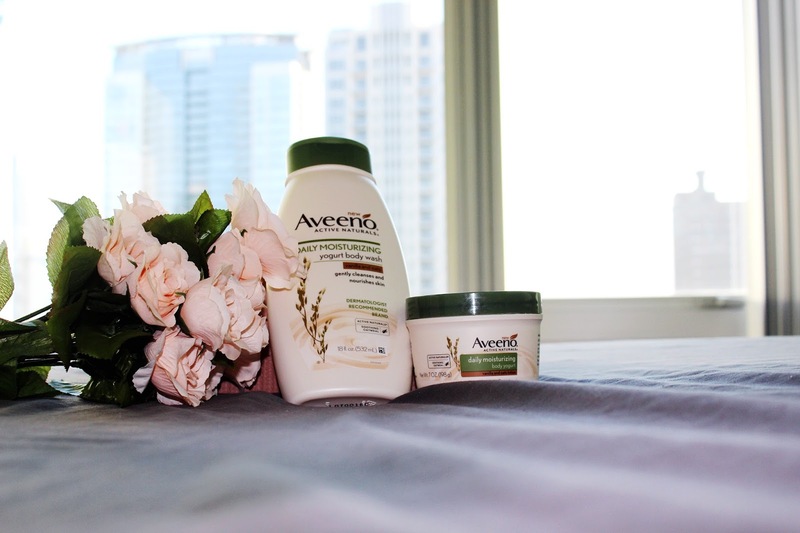 Get revived and enjoy a bath with the Aveeno moisturizing yogurt body wash for the softest moisturized skin. Especially before slipping into bed, there is nothing worse than itchy dry skin while trying to catch up on your beauty skin. 3. If your family won’t let you have a mini-me time, put them to work. Catch up on the couch, while they give you a foot or hand massage using the body yogurt. You get some bonding time or subtly train them to give you some alone time next you pull out the Aveeno body yogurt. They will love you anyway. 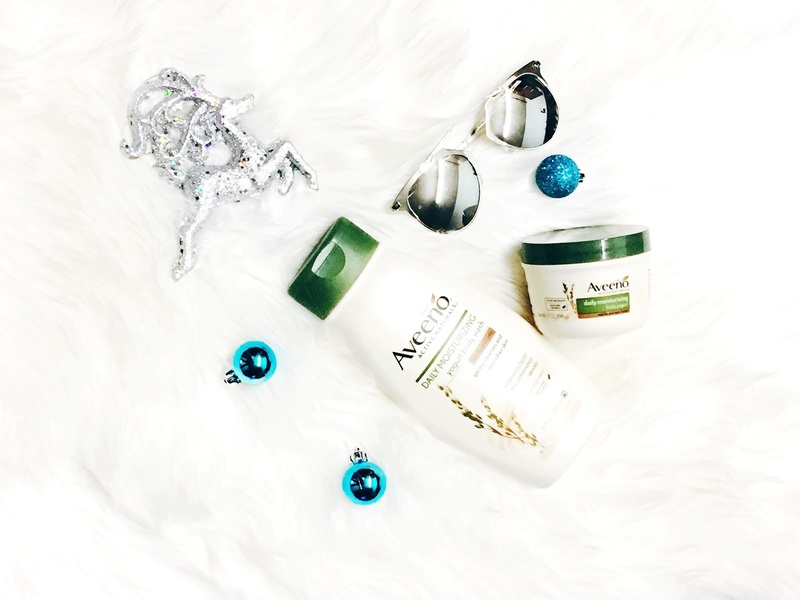 Hope you love this collection especially during the Winter months to maintain that healthy glow all year long. 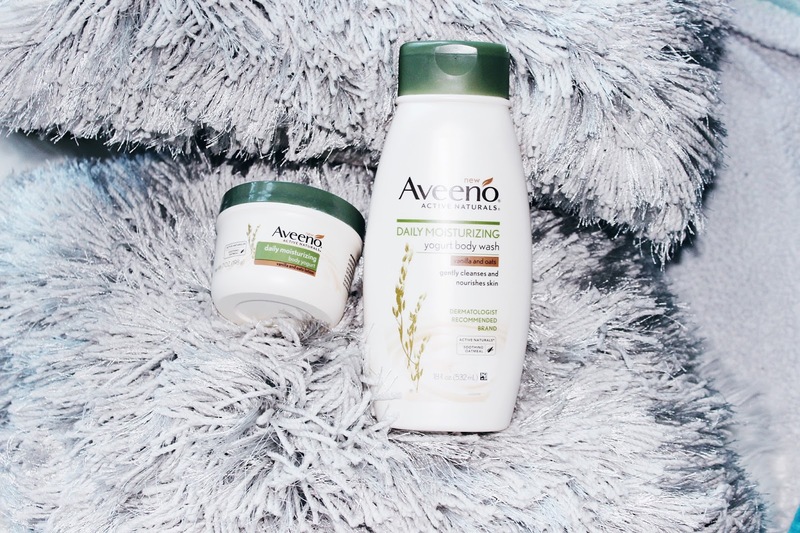 This post is sponsored by Aveeno. All opinions are my own.